Be the first to share your favorite memory, photo or story of Wiley. This memorial page is dedicated for family, friends and future generations to celebrate the life of their loved one. Wiley Moore Crumpler, 70, passed away peacefully on Tuesday morning at the SECU Hospice House in Smithfield. Wiley was born June 26, 1948 in Johnston County, to the late Jerry Fernanda and Neppie Godwin Crumpler. He proudly served his country in the United States Army serving in Vietnam. Wiley was retired from Firestone in Wilson. The family will receive friends on Thursday, December 20, 2018 from 6:00 p.m. until 8:00 p.m. at Kenly Funeral Service. Wiley is survived by his son, Ronnie Moore Crumpler and wife Melissa and daughter Sherri Lynn Crumpler both of Kenly, special K-9 companion, Frank; brothers, Jerry Crumpler Jr. of Kenly and Walter K. Jones (Kemp) and wife Anna of Las Vegas Nevada; sister Hilda Gray Wales of Chesapeake VA. In addition to his parents, he was preceded in death by his siblings, Verlie Davis, Yvonne Phillips, Virginia Sanders, Ben Jones, and Clement Crumpler. To send flowers or a remembrance gift to the family of Wiley Moore Crumpler, please visit our Tribute Store. 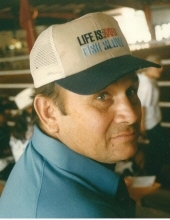 "Email Address" would like to share the life celebration of Wiley Moore Crumpler. Click on the "link" to go to share a favorite memory or leave a condolence message for the family.